2. My TV froze on this commercial for the last 10 minutes of the second quarter, the whole half time show, then the first half of the third quarter and all those commercials in between. Luckily, Home Alone was on TBS. I heard I didn’t miss much. 3. People on Twitter were pretty funny during the game last night! It was a little bit more entertaining than the actual game. Aziz Ansari was probably my favorite. He was tweeting as if Friday Night Lights was in the Super Bowl. His knowledge of the show is unreal. 4. I heard Bruno Mars sent a text to Peyton after the game saying, “It’s ok, Peyton. You are amazing… just the way you are!” JK. Lame joke. 5. 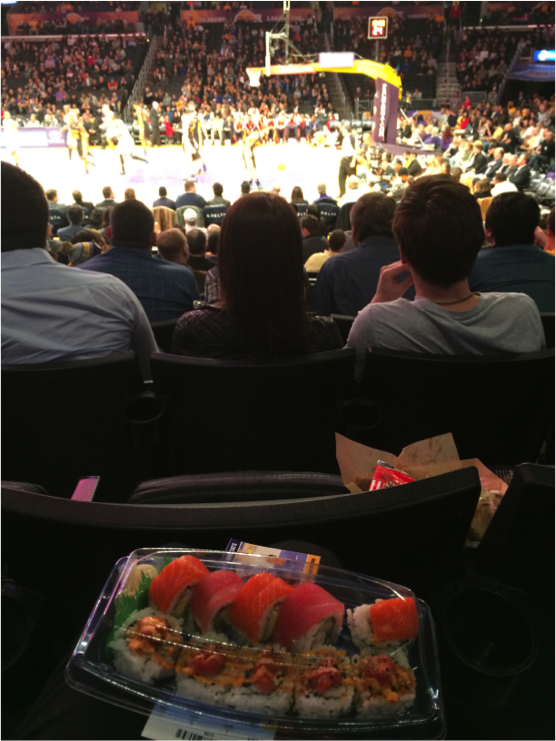 I went to a Lakers Game on Friday and ate sushi while watching the game. It was so LA. 6. 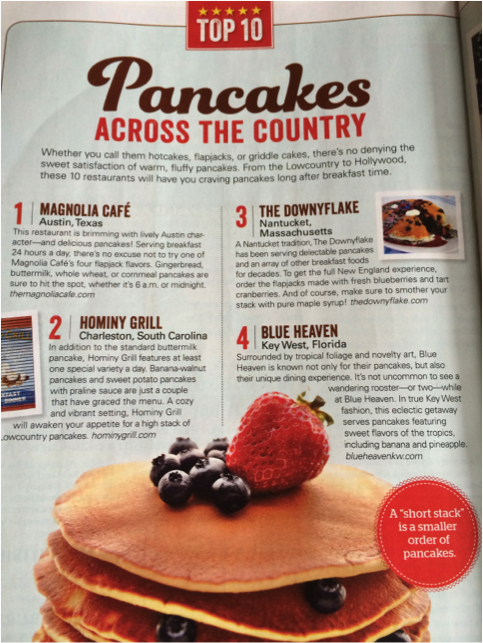 Paula Dean Magazine named (my favorite breakfast place on Nantucket) The Downeyflake one of the Top 10 Pancakes in America!!! OHHHH YEAAAHHHH!! The Blueberry Pancakes really are amazing. Ohhh, I want some right now. Her magazine is still a credible source, right?! 7. 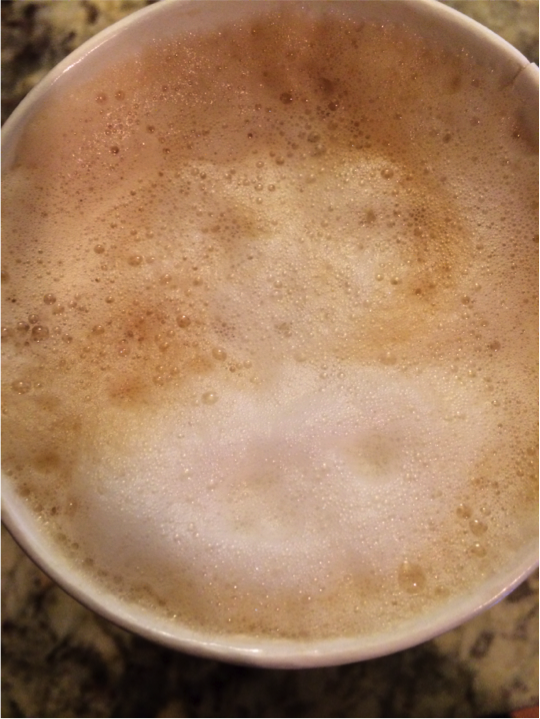 There was a monkey in my coffee yesterday morning. Does anyone else see it? Or am I crazy? 7. I had an actual freak out the other day about how I am turning 27 in 2 months. Scary. Are you ready for some FOOTBALL?!? And Commercials and Food and Beer and Bruno Mars?!?! Fun Fact: Did everyone know that Super Bowl Sunday holds the second place spot (behind Thanksgiving) for most food consumed on that day!? Better wear your stretchy pants. Another Fun Fact: Did everyone know that this is the 10 year anniversary of Miss. Jackson…If You’re Nasty’s wardrobe malfunction with JT? We love more than anything that she is rocking that baggy track suit. No offense to past and future national anthem singers but we think they should hologram her and play this every time for the rest of time at every event. OH NO!! What if you were on your way out the door to a last minute Super Bowl Party tomorrow and you don’t have time to bake a dessert AND you don’t want to show up empty handed?!?! 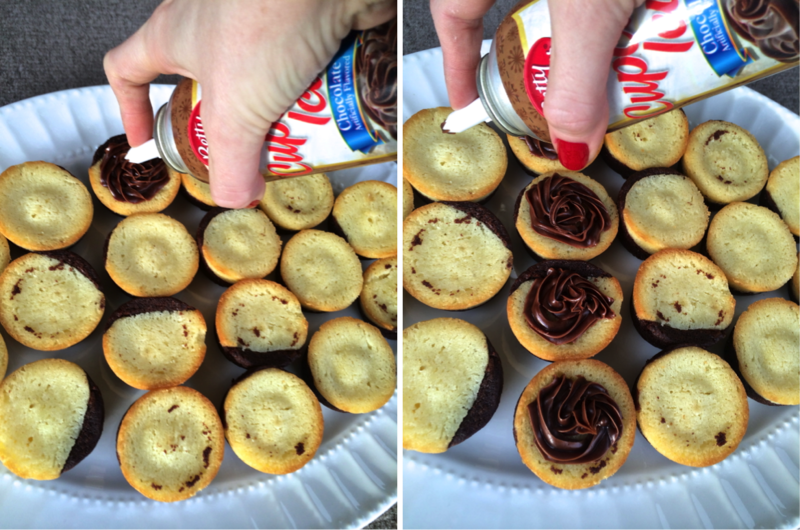 Here is a quick last minute dessert idea that you can prepare at the tailgate of your car! 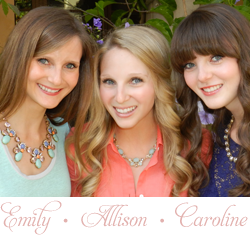 All you need… A platter from home and a quick stop at the grocery store for 3 ingredients! 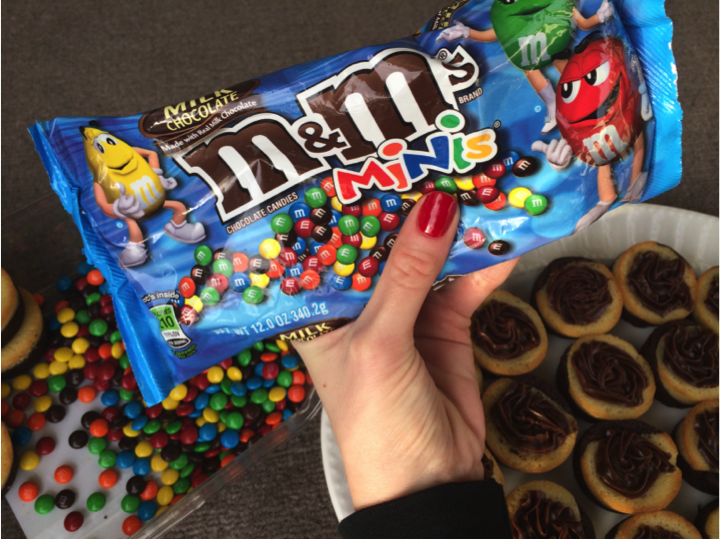 Ingredients: Brownie Bites from the Bakery Section (These are Madeline and Brownie bites.. so yummy), Bag of Mini M&M’s and a can of “Cupcake Frosting”! Place the Brownie Bites on the platter! 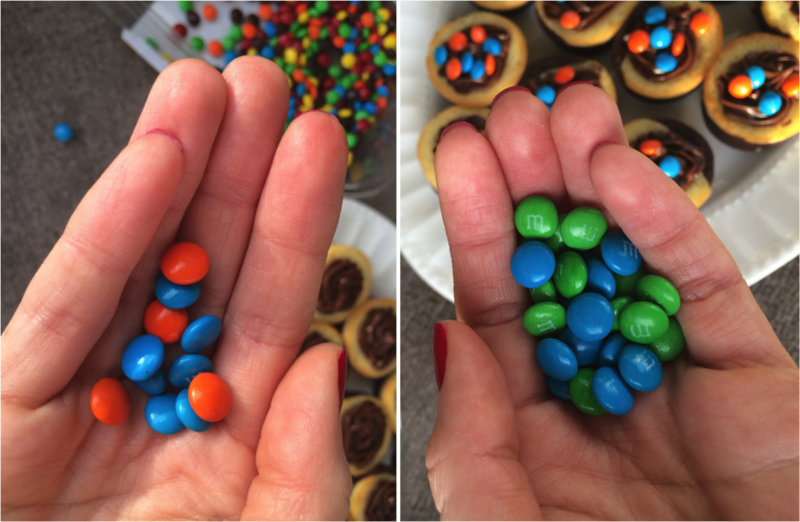 Pick up Orange and Blue M&M’s for the Broncos… sprinkle on half of the Brownie Bites. Then pick up Blue and Green M&M’s for the Seahawks… sprinkle on the other half. AND THERE YOU GO!!! 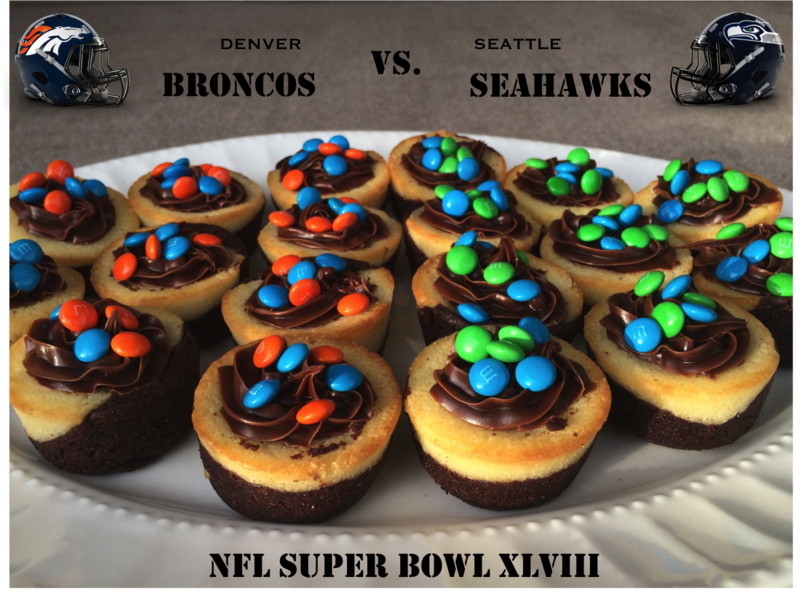 You have whipped up BRONCOS vs SEAHAWKS Brownie Bites just in time for kickoff! SO EASY! You are now ready to go to the PARTAY! 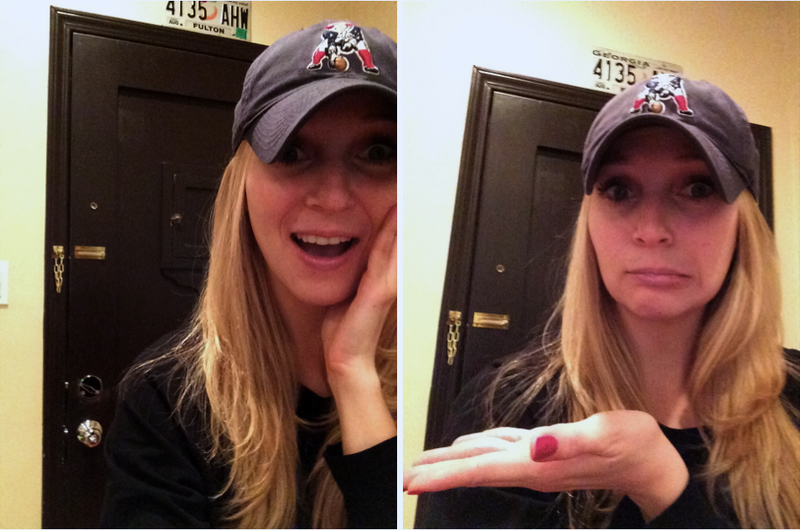 It hurts me to say this but… Go Broncos! 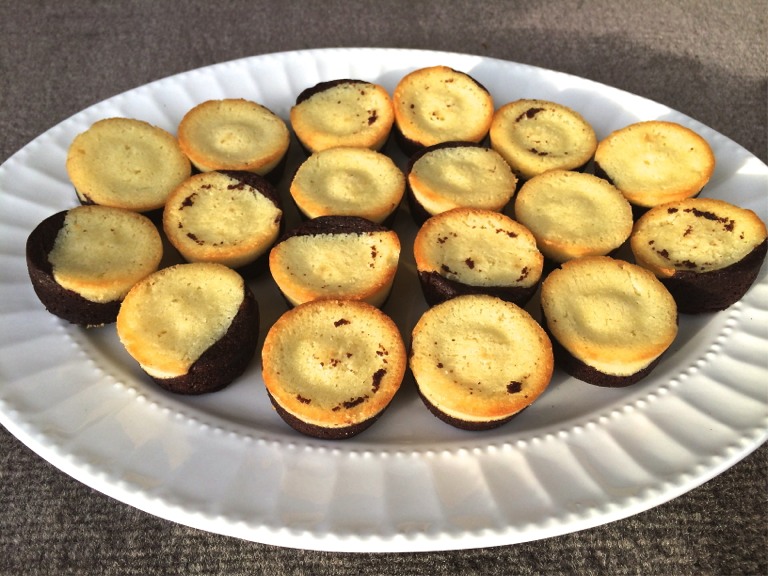 I wanted to do a funny dessert post for all the fans of teams who are not in the Super Bowl… Like “Still Bitter Lemon Pie Cookies” or “Eat Dirt Pudding”… But I thought I should keep it classy.